baskets. I got so many requests, I thought I'd at least try it. Of course you can serve it hot like you would Swiss chard or Bok Choy, but I think what makes Kale special is that you can eat it cold. I did try eating it raw. Don't try that. 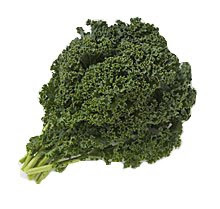 I think Kale is too tough to eat raw. Just my opinion. We could use some help with our new hoop house! We're putting up a small hoop house in an area of the farm that burned completely down (no clearing necesssary). We've discovered that the tiny greenhouse on the hill isn't big enough to keep the flow of flats going that we need for our row crops, so we're adding a cheaper version closer to the fields. Called a "hoop house" it's constructed by bending PVC pipes in an arch, attaching to rebar into the ground and then covering with plastic. It's like a giant tinker-toy project covered with greenhouse plastic. No beauty queens, but they get the job done. Lettuce, kale, zuchini, bok choy, tomatoes, maybe the first of our apples, Asian pears, avocados, radishes, Swiss chard, hot peppers, cukes, limes, mint, maybe figs. We're planting brocoli, cauliflower, and kale in our little greenhouse this week and Swiss chard, radish, cilantro, beets and lettuces in the field. We should begin the macadamia harvest this month, so by mid-October I would think we'll be putting our wonderful raw macadamias in our CSA baskets again.